By Mugs McConnell, drawn from her book, Letters from the Yoga Masters: Teachings Revealed through Correspondence from Paramhansa Yogananda, Ramana Maharshi, Swami Sivananda and Others. Available online and in bookstores everywhere. Bob and I have been travelling this month in some remote areas of Northern BC. 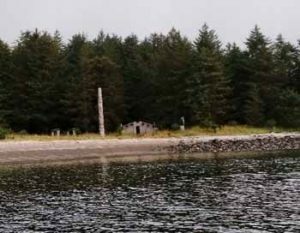 Aside from wanting to get out on the lakes with our paddleboards, we feel a deep connection with First Nations people and wanted to learn more of their history and spirituality. What we got was so much more than we expected – a lesson in forgiveness. Forgiveness may not be listed specifically as a yama or niyama, but it comes as a result of practicing truthfulness, non-stealing, contentment, Svadyaya… it is an underlying benefit of practicing yoga ethics. 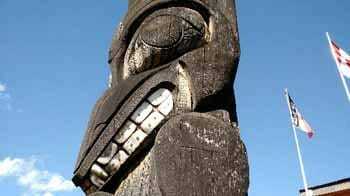 First we visited “the Hazeltons”, the Ksan Historical Village, and Kispiox. Learning to read the poles outside each longhouse bearing the family crests was an enlightening experience. Each pole records a bit of history and information about that family or village. We headed north to the Nisga’a Nation in the Nass Valley, where three villages were buried under volcanic lava around 250 years ago. Four villages remain today: Gitlax̱t’aamiks (New Aiyansh), Gitwinksihlkw (Canyon City), Lax̱g̱alts’ap (Greenville), and Ging̱olx (Kincolith). Each of these villages has a different way of life, from coastal to inland, and the people were warm and eager to speak with us. At Lax̱g̱alts’ap there is the Nisga’a Museum where this young First Nations man was passionate to share the history of these villages, and filled us with stories and deeper understanding of the shamans, gatherings, clans, crests, and the impact of white civilization on their lives. The Lava Bed Park is worth spending some time at, as the lichens and lava tubes are quite beautiful. From here we went over to Haida Gwaii. 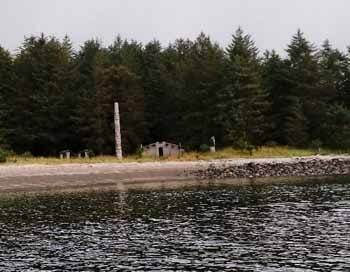 We met Oliver, a Haida, who took us by boat to the ancient site of the village of Yan. He taught us more about the longhouse, the poles including memorial poles for recording events, mortuary poles that held those who died, house poles that told you who lived there, and even shame poles when a member of the village didn’t pay their debt (these poles were removed when the debt was paid). 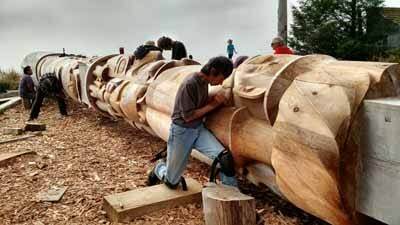 There is a memorial pole currently being carved by four Haida carvers (designed by James Hart) to honour the Truth and Reconciliation report and movement forward. The pole records the progression from life before contact with European immigrants and missionaries, through the trauma of residential schools and the loss of their culture and languages, to acknowledgement and reconciliation, into the new future that lies ahead. The pole will be raised at UBC around mid-October, and all are welcome to participate in this ceremony. Life continuously throws obstacles in our path to success and happiness. How we respond to these challenges is what is important. We may feel angry and frustrated with those around us, however an objective mind can show us that every bit of growth and opportunity we experience comes out of the challenges we face. The manner with which we deal with these events is a choice. We can choose anger, discordance and suffering, which can be a dangerous path for the soul. Or, we can choose to do some soul searching and ask ourselves “What am I supposed to learn from this situation?” This practice is known as “svadhyaya” or self-study, which can lead us away from our resentment and anger. It provides the opportunity to discover new knowledge and understanding of ourselves and our strengths that can move us forward into our future. This practice takes us deeper into connecting with our True self, and guides us to a profound peace that pours over into our relationships. Erich Schiffmann urges us to ask ourselves, “What is the Truth here, really?” This is a very deep and challenging question, with emphasis on the “really.” Ask it over and over as each answer arises. Meditate in search of the Truth. Really. Then act from a place of Love. I received word late August that my Purple Lotus Yoga studio lease wouldn’t be renewed. After the initial hurricane of emotions, I rolled up my sleeves & got to work finding us a new location and team to make magic happen. This will be my third studio creation in eight years. Through the uncertainty and creative process I’ve learned a few things. These yoga tools work. Deep breathing and holding fast to your reasons for creating the space are the difference between losing your mind when there are delays or unexpected expenses and adapting to the situation. Asana can keep your body ready to paint, haul, lift and squat for long periods and it’s what helps bring it back to balance after a long day of reno activities. Your vision can and hopefully will evolve. Sometimes, what you want versus what is in the budget are different things! Instead of staying attached to the original vision, allow it to morph as you gain information. It’s an awesome opportunity to refine your discernment around what is truly important to the flow of energy in your space (and life). Your team is what creates the magic. Your support network, contractor, friends, students, family. You literally cannot manifest this creation alone so be on the watch for awesome people who share your studio love or who just have a passion for the skill they bring to the table. Surround yourself with a team with all kinds of different personalities- the realist, the cheerleader, the devil’s advocate, the scientist, the poet the athlete. Invite them into parts of the decision making process. If renovations are not your strong suit (they definitely aren’t mine!) gather as much information from these people as possible and then make decisions based on how this information aligns with your vision. Open to Grace. Make skillful actions with a vision in mind while staying receptive to the flow of life. Intend for and trust the right space will present itself to you, the right people will come into your life to manifest it and that you will have all the resources you need. The last one, in my experience, is the most important. In fact never mind points 1-3. #4 is truly the yoga of renovation. Blessings to you in any sacred space creation you are embarked upon. As with anything, the more intention you put behind it, the more vibrant it will become. 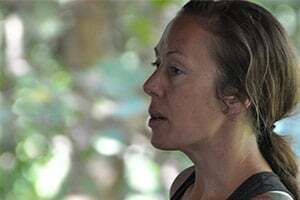 Kamala Wilkie, SOYA E-RYT500 lead trainer, will be leading the SOYA extended 200 hour teacher training from March-June at Purple Lotus Yoga’s new location, #60 Calgary Ave, Penticton. 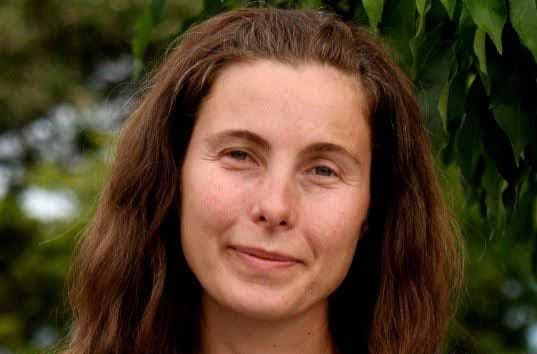 She also leads the spring 200 hour immersion teacher training at Sorrento Centre in Feb/March 2017. Read books, watched videos, and taught a few classes feeling so intimidated by my lack of knowledge. Who was I to teach Prenatal Yoga? I decided to take a course; a Prenatal Yoga Teacher Training. It left me sitting in my car in Calgary AB bawling my eyes out about my own births. If only I had known what was taught between those walls for my births. I had honestly never realized how important to me my births were! I never knew this wealth of information, tools, and beautiful empowerment existed!! And so the fire began. I have been sitting in circles of women and their babes in bellies for close to a decade. I have laughed, cried, listened, and shared all of the sacred wisdom of pre and post-natal women. Women supporting women on the most sacred of journeys. Even if in the moment you are not aware of how sacred the pre-natal journey is, I hope one day you will look back and feel support and love. That you will know that you partook in wisdom between walls that somehow carried you. Carried you into the most amazing experience this life has ever offered me…. Enjoy Natasha Scott’s interview with Kenna Riplinger, and learn more on creating a balanced prenatal yoga class, here on Pranic Body youtube channel.